Removing Store Credit – How can we help? There are several circumstances where you may need to remove store credit from your customers’ profile. For example, in situations where; it was accidentally given to your customers in a sale, or perhaps your store policy is to remove store credit after a certain period of time. 1. Voiding the sale the store credit was issued in. Voiding a sale to remove store credit is best for situations when it was issued by mistake, or the wrong amount was issued. Voiding the sale will remove the store credit from the customers balance, but, it will also return the inventory of any other products sold in the sale to your store and change sales and reporting data, therefore you will need to recreate the sale to have a record of the sale in your store. You can void the sale using the Sales Ledger, and then recreate the sale, on the Sell Screen, by following the steps in this article. 2. Remove store credit by ‘spending’ it to remove it. Spending the store credit is a way to remove the store credit without needing to make changes to a sale. It is also the only way to remove store credit that was issued manually, and so therefore doesn’t have a corresponding sale in Vend. 2. Add the customer to the sale. 3. 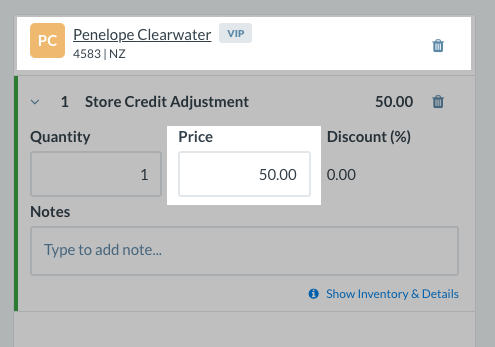 Add this product to the Sell Screen and edit the Price section to the amount of store credit you'd like to remove from the customer. 4. Complete the sale using the Store Credit button to spend the amount. 5. 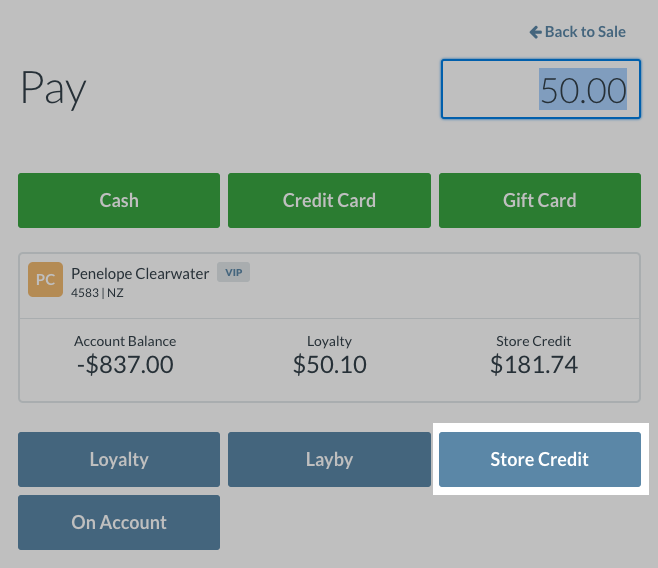 This will remove the store credit from your customer's balance and be recorded in their sales history. It will also be included in the transaction count for the day and other reports.